When one talks about film comedies of the 1920s, there are mainly three big names to consider: Charlie Chaplin, Buster Keaton and Harold Lloyd. Had history taken a side step, however, a fourth name could have outshone them all: Douglas Fairbanks. Fairbanks had already become the leading Hollywood comedian, and in fact the leading actor of any kind, in the late 1910s. Come the new decade, he was at a critical junction. His spectacular 1920 success The Mark of Zorro had been an experiment with a new kind of romantic adventure film, and needed to be followed up. During 1921, Fairbanks was to release two new films. The first was a traditional comedy, The Nut. Fairbanks plays an inventor who is in love with a beautiful woman. He tries to impress her by holding parties in benefit of her charity mission for homeless children, but things go all wrong and he even lands himself in jail before he can try to set things right. 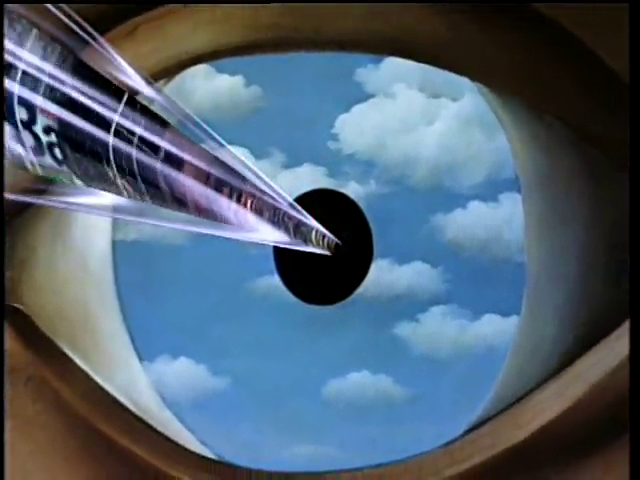 Had The Nut been more tightly written and directed, it would perhaps have been the success normally associated with the Fairbanks name. Had that been the case, who knows but that the ever business-minded Fairbanks might have decided to take up the race with the great comedians. But even though The Nut is both fun and inventive, it was no match for the competition. The same year, Chaplin released The Kid, Keaton was perfecting his genius with films such as The Boat, and Lloyd developed his thrill comedies with Never Weaken. Given such competition, The Nut is simply not good enough. Instead, it appears to have been Fairbanks’ last silent comedy, as he chose to pioneer the romantic adventure genre instead. This film is best enjoyed for its playfulness, such as the use of a parrot with a word balloon (a very rare device, indeed, in silents), the crazy morning routine inventions, or the corny litter which carries itself. 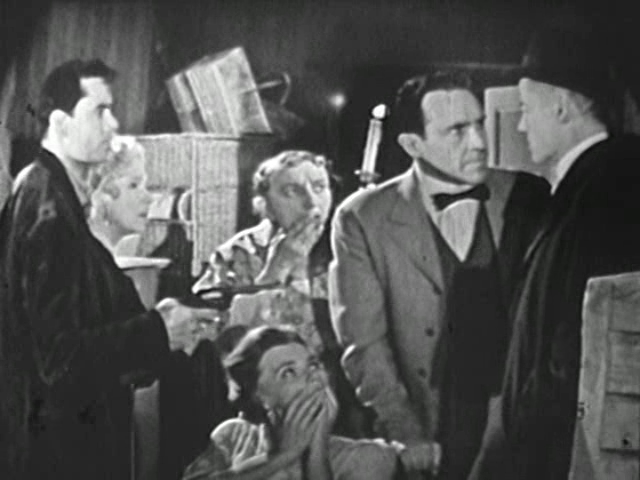 In addition, it is said that Charlie Chaplin makes a cameo appearance (Chaplin and Fairbanks had been among the co-founders of United Artists two years previously). I missed him, but if you catch him I would appreciate a comment about where he appears. The Polish sci-fi author Stanislaw Lem is something of a cult celebrity. His stories have inspired several good movies, including three versions of Solaris (in particular Tarkovskij’s splendid adaptation from 1972). Not one of his best-known works (but still interesting), The Magellanic Clouds is the basis for the Czech film Ikarie XB 1. The film is about a pioneer space flight to the Alpha Centauri system, two hundred years into the future. 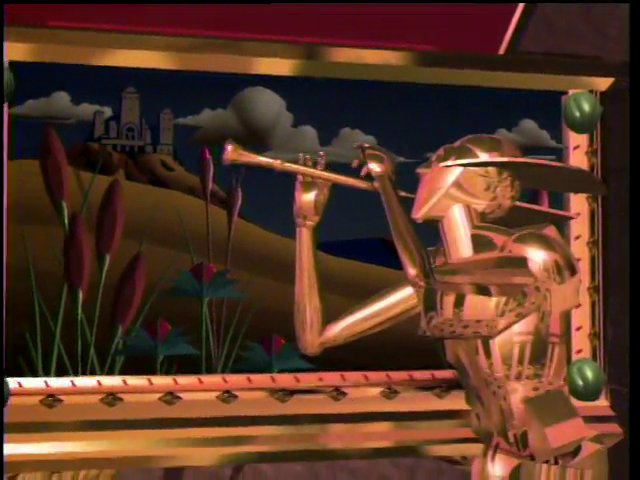 The world at that point is a communist Utopia, and the forty-man crew depart in search of extra-terrestrial life. But the there are many dangers ahead of them. Ikarie XB 1 comes complete with some heavy-handed anti-capitalist propaganda. Though it is no worse than the corresponding anti-communist messages in some Hollywood films from about the same period. Like Battle Beyond the Sun and many other sci-fi films from behind the iron curtain, Ikarie XB 1 was released in the US in a slaughtered and dubbed version, with a new ending and generally much worse than the original. The title of this abomination was the bland Voyage to the End of the Universe. Fortunately, the original version, subtitled in English, is the one to be found at the Internet Archive. This film is best enjoyed if you prefer the psychological and philosophical kind of science fiction that was more common in the East during the Cold War. The tempo is slow and the plot is somewhat splintered, but that matters little, for the focus is on character development and interaction. Great stuff! When Bob Kane created Batman, who first appeared 75 years ago this month of May, he used many different sources of inspiration. One of these was a character named “The Bat”, which first appeared in a stage play with the same title. But more about Batman’s connection with The Bat later. The Bat is a delightful little mystery, fully equipped with murder, romance, double identities, stolen money and a hidden room. It has been said to be the archetype for all later old mansion mysteries, and it has been adapted for the screen on at least four occasions. 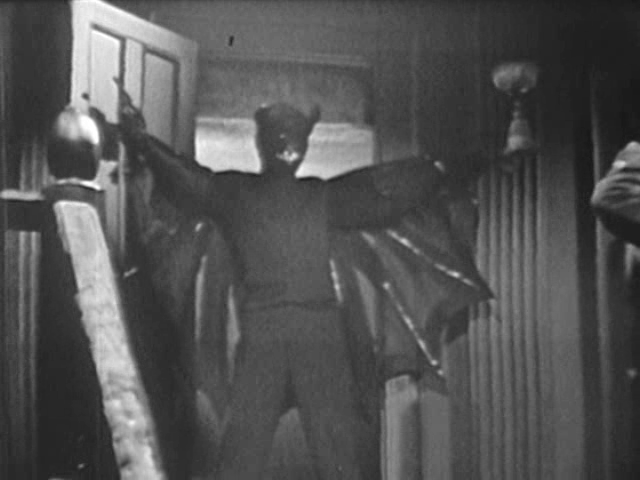 Three of these adaptations are to be found at the Internet Archive (see other links below), and my favourite is perhaps the least known of these, a TV version of The Bat from 1960, produced for the series The Dow Hour of Great Mysteries. The best thing about this production is the excellent cast, with legendary Helen Hayes (who had an acting career on stage and screen for over eighty years) in the lead as the old lady who finds her home invaded by people who lie, deceive and double-play. Another good actor is Jason Robards as a police detective. Not to forget Margaret Hamilton, famous for The Wicked Witch of the West in The Wizard of Oz (1939). Today, it is tempting to dismiss The Bat as a somewhat cheap Agatha Christie rip-off. However, the original Broadway play premiered in the same year that Christie’s first story saw print, so it is more likely that Christie took inspiration from this story, although it is probably more accurate to assume that both are children of the same time. Now, what about the Batman connection? Actually, it is not completely clear. Roland West directed two film adaptations of the story. First the silent The Bat (1926); later the talkie The Bat Whispers (1930). Bob Kane has allegedly said that he was inspired by the latter, yet the former features a much more Batman-like costume, and also a Bat signal which is arguably the origin of the Batman logo. So even though The Bat was a villain, it is confirmed that the character did make an imprint upon Batman, and the story is therefore historically interesting, in addition to being a good yarn. This film is best enjoyed in this particular incarnation. In addition to the versions previously mentioned, there was also a film version released in 1959, The Bat starring Vincent Price and Agnes Moorehead. This, too, is good, but Hayes easily wins over Moorehead in the “old lady detective” category. Also, the plot is much tighter in the 1960 version. 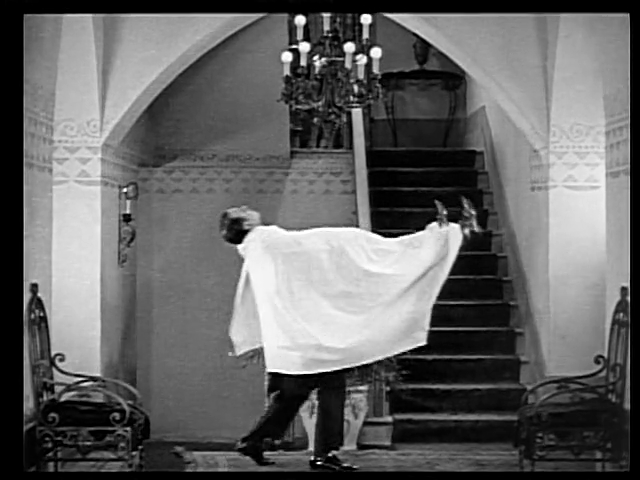 But, of course, if you are a Vincent Price fan, the 1959 version is a must.